Many of you who want to have an iPhone are set back by the online activation and the lock in with AT & T.
Wait for a few minutes and think, is it necessary to use iPhone as a phone? You can very well use it as an iPod, a Wi-Fi device, browse email, watch you-tube videos, show off to friends, play around with all the cool apps made for iPhone and a host of other things. The only thing you can't do is talk!!. Now you might ask me is it possible? Yes, it is very much possible. Check out this post my Amit at Digital Inspiration for more details. For you convenience I am reproducing the relevant parts over here. "Lech Johansen (aka DVD Jon), who became world-famous after writing a DVD copying software, has published a hack to activate the iPhone without iTunes or the two year voice and data contract from AT&T. 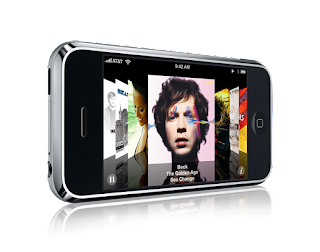 Download iPhone Activation Server to activate your iPhone for iPod+WiFi use."